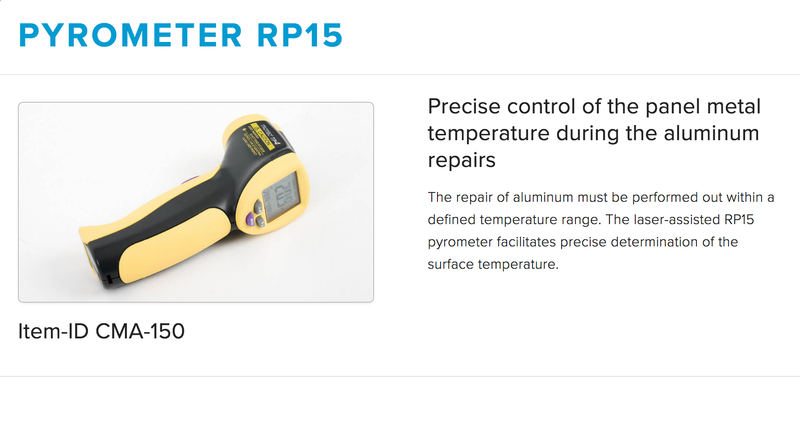 The proven, absolutely process-safe arc ignition process with a welding current of up to 1,000 A and the patented welding gun allows various types of bolts to be welded onto a wide range of steel and aluminum alloys. 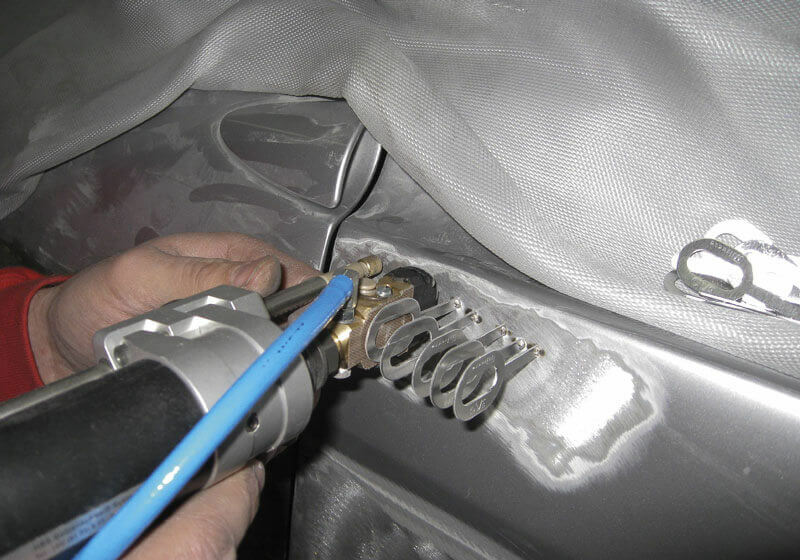 In addition, the Miracle aluminum bits can be set as usual for the aluminum outer skin repair. 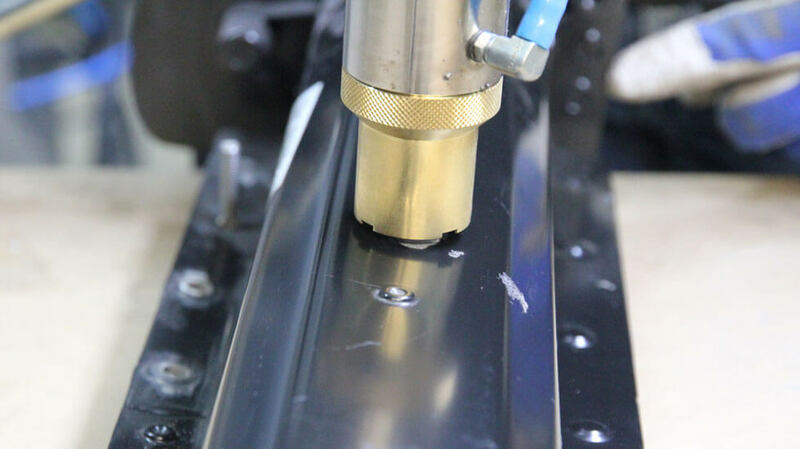 With AluRepair plus and the Miracle repair concept for steel panels, you create the technical and economic basis for increasing return and added value in the company. 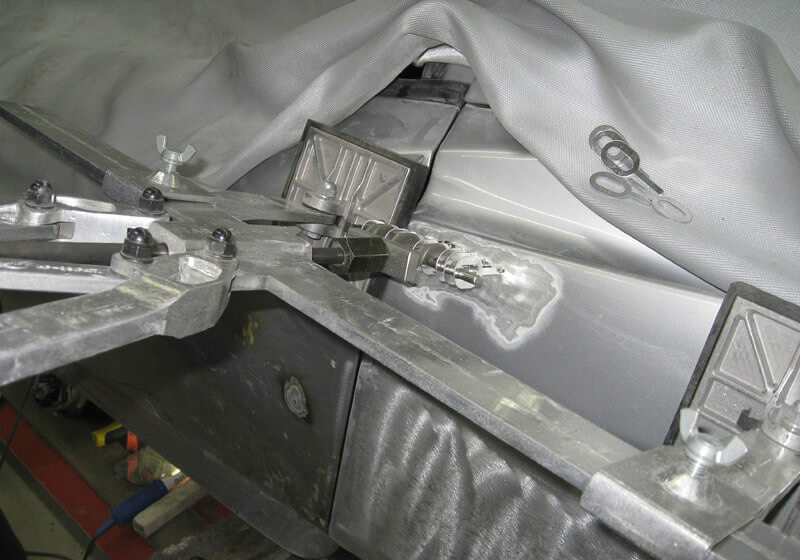 Get a competitive advantage and market your aluminum expertise with insurers, fleet customers and their private end customers. 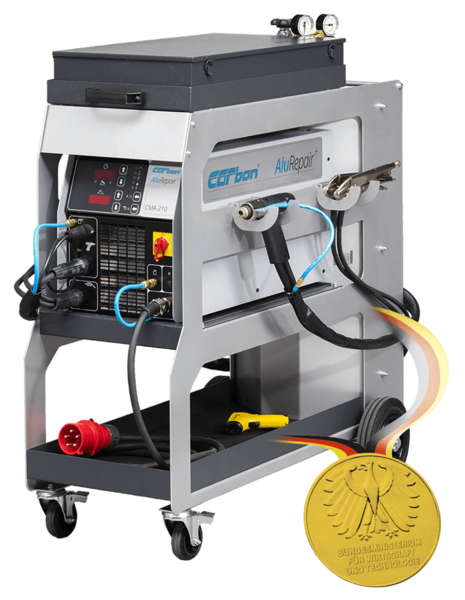 The AluRepair plus CMA-200 was awarded the German State Award “outstanding innovation in the trade” in 2015. 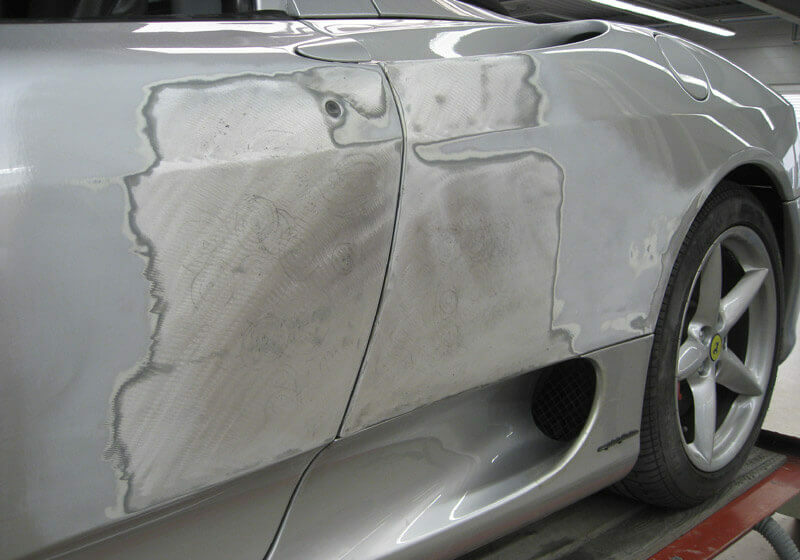 AluRepair plus is approved by various automotive manufacturers and is prescribed as a repair standard. 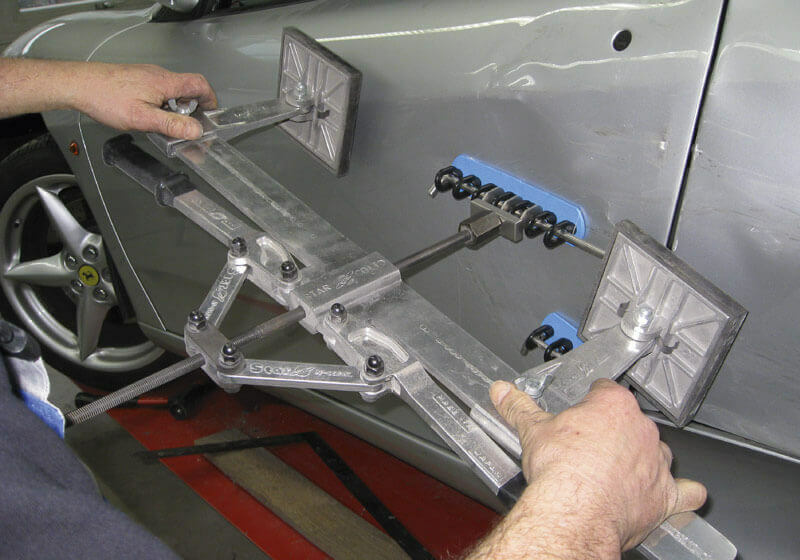 In addition to welding the Miracle aluminum bits, the AluRepair plus system is ideally suited for welding mass, threaded, standing and tool support bolts made of steel, stainless steel or aluminum. 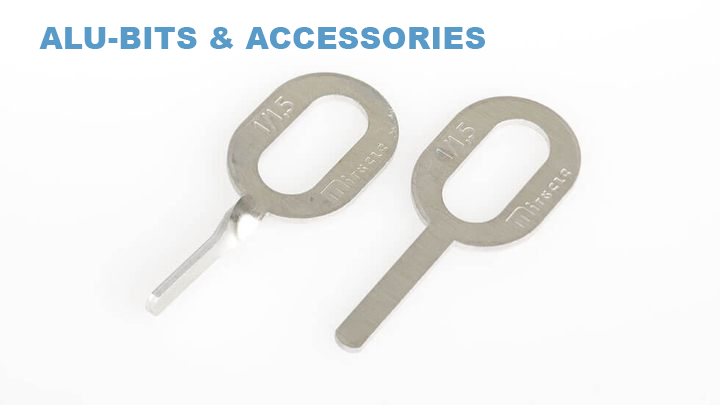 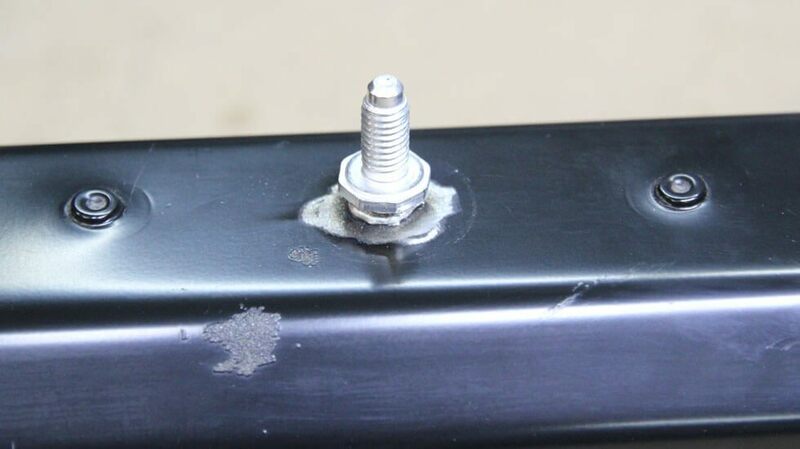 Due to the high device power of 1,000 A, bolts up to Ø 10 mm can be set safely. 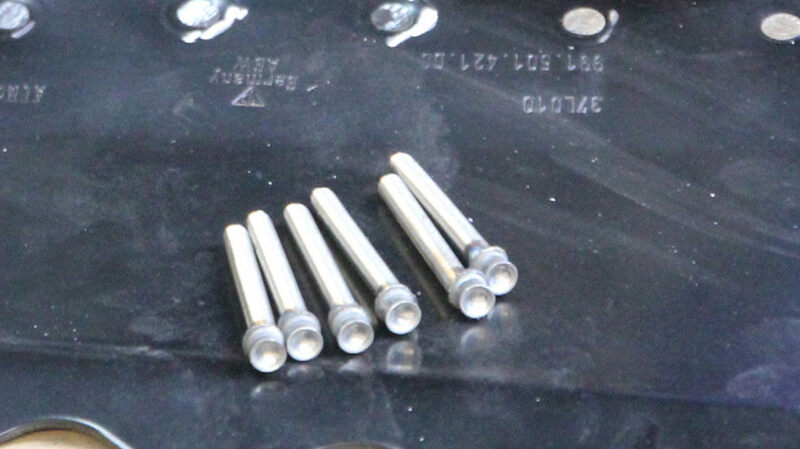 Body parts are often joined by punch rivets at the factory. 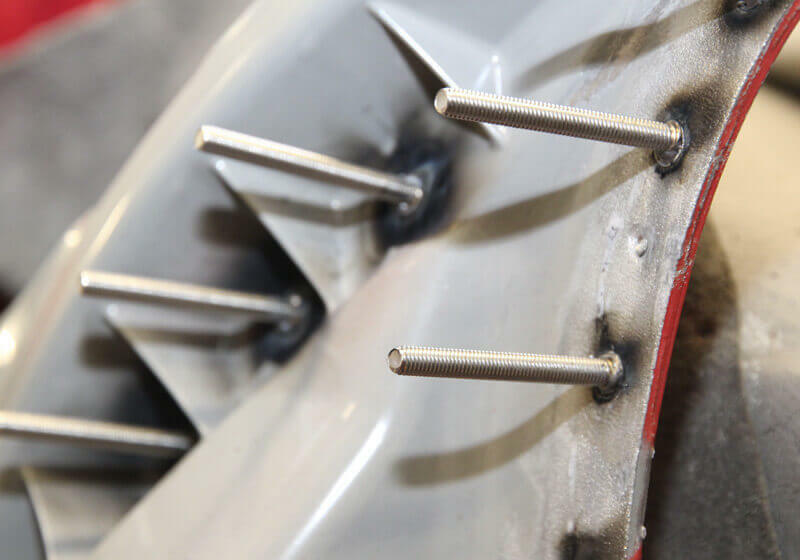 The attachment of stainless steel bolts with the AluRepair plus system for a clean pulling of the rivets is faster, cleaner and easier than the complex drilling of the connection points. 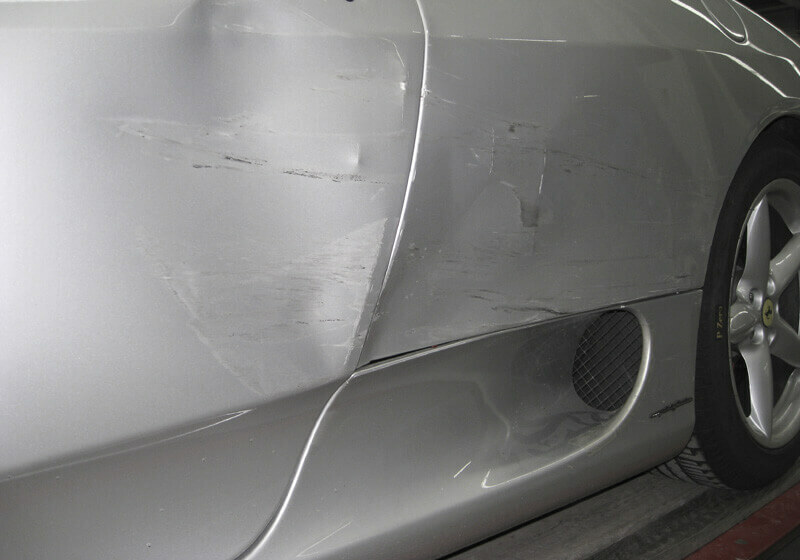 The repair of the side damage to this Ferrari 360 Spider is a real challenge for every repairman. 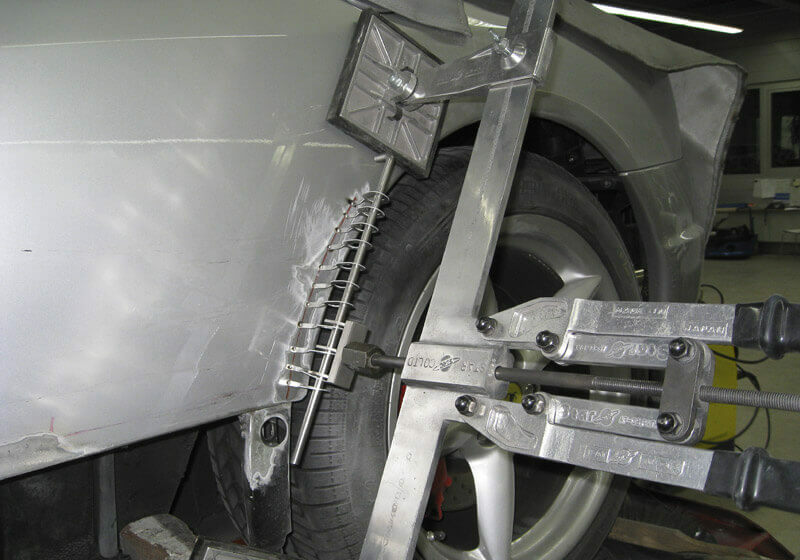 The owner wanted to avoid the usual exchange of door and side panel necessarily. 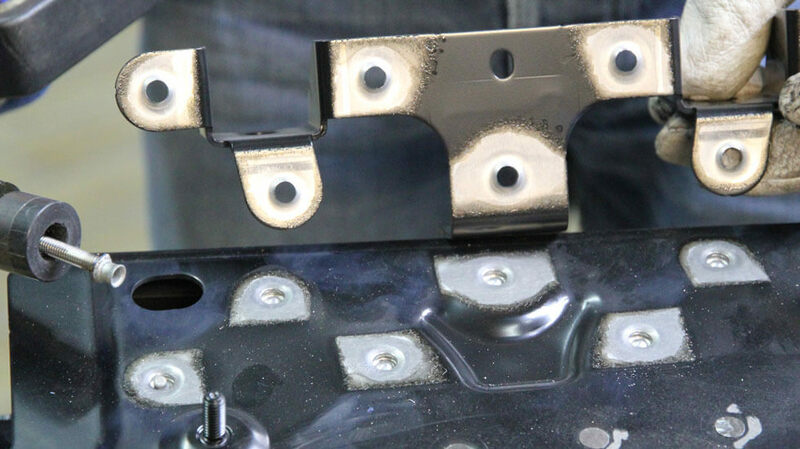 The clear advantages of repairing the original parts against the replacement of the damaged parts have convinced the customer. 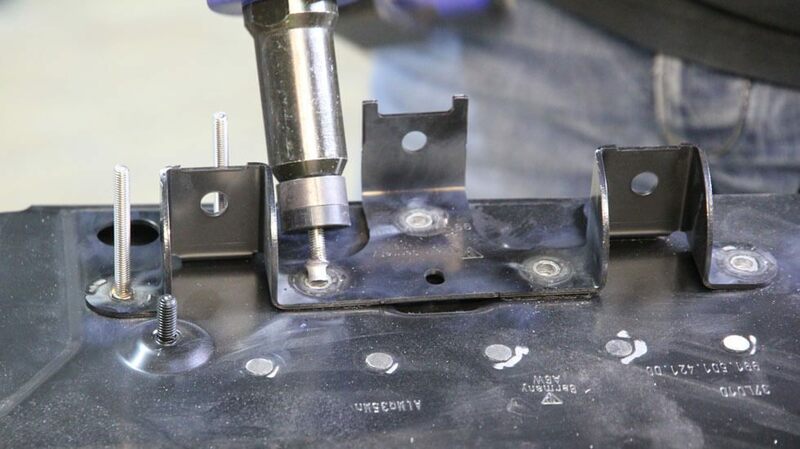 He was very impressed with the subsequent visual inspection of the repair quality.